When searching for "How To Change/Delete Blogger Post Labels". So i found there nothing. No need to worry about that I am telling you the trick that will work in almost all sort of blogger template. Hope it helps. If you have blogger simple template, then to your homepage and then click on design (For others click on home icon). Then at the left-hand side click on posts. Click on the post from which you want to edit or remove Tags. 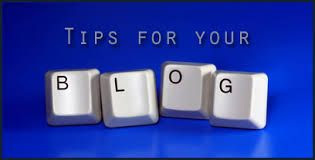 You will be redirected to the blogger editor of your selected post. Click on the labels below the heading post settings. Now you are ready to edit your post's tags.